Between The Lines Winery is happy to explain the wine making proccess to anyone who visits. Follow the journey from Grape to Glass. It's a personal experience and a tailored signature winery tour. 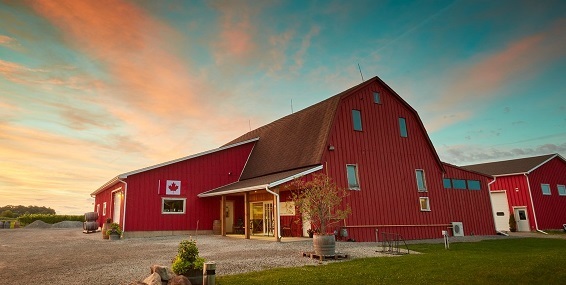 You will explore the vineyard and learn what it takes to grow some of the best wine grapes in Niagara. Vistors have the facility to tour all the winemaking equipments, and learn about the process of picking the right grapes, as well as how to ferment them into wine. Wine tastings and tours are available anytime Monday thru Thursday. If you’re planning to visit on a weekend, book in advance by calling or emailing, as space is limited on the weekend. May 16th to October 11th - Sun – Sat 10 a.m. – 7 p.m.
October 12th to May 15th - Sun – Sat 11 a.m. – 5 p.m.
Sunday - Saturday: 11:00 am, 12:00 pm, 1:00 pm & 2:00 pm.